I am a watch fan but do not own any luxury timepieces. My watches consist of two Swiss automatics with ETA movements, a Swiss quartz and the Movado Bold I posted about this time last holiday season. I also have a mechanical Seiko and Orient watches made in Japan. Recently while checking prices on my dream watch an Omega with co-axial movement I discovered an interesting watch that is inexpensive for the accuracy and technology. It is the Bulova Precisionist quartz watch which is one of the most accurate quartz watches available. A regular quartz watch is accurate to 10-15 seconds a month where this quartz movement is accurate to 5-10 seconds a year. 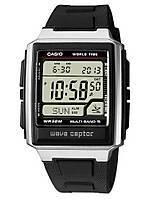 It uses a 3 prong quartz crystal instead of a 2 prong crystal and vibrates 8x faster than a standard quartz watch. The second hand moves 16 times a second so it looks like it is a sweeping second hand instead of the one second jump of a standard quartz. The least expensive Precisionist lists at $299 but are available for less. I found the amount of technology interesting and the price affordable. Anyone who likes watches and wants greater accuracy check this one out. I like watches. I own a Rado that my wife got me for my 40th BD. Also own a Raymond Weil. LASSALE/ SEIKO Quartz 5A54-5029 Gentleman Bracelet watch. | Flickr - Photo Sharing! Did you look at the Bulova? Not so much about style but it is the technology and accuracy for the price I found interesting. Yes, it is a very nice watch. I was thinking about getting one for my son. Well the Precisionist arrived yesterday. As products usually are it is a more attractive watch than it's photograph. The bezel, shoulders of the crown and sides are highly polished. The rest of the watch has a satin finish. The face is darker than I expected but the highly polished hands and hour markers make it easy to tell time. The watch retailed at $350 and I bought it through Amazon for about $213 plus shipping. A great bargain for the design and technology of the watch. As nice a watch as it is the finish and construction is not up to the level of Swiss watches. Of course the price is not up to the cost of a Swiss watch. If the watch remains as accurate as presented this will be a great bargain. John, how heavy/bulky is the watch? I love the style of Bulovas but I find them to be very heavy. I'm having a hard time seeing my smaller womens watches as I get older and I've been looking for a nice large womens or smaller mens watch. I thought that I would try so save some money and bought a Timex watch last summer, but the ticking drives my up the wall, so I need so go back to the more expensive watches where the ticking is much quieter, or preferably non-existent. Some quartz watches have a loud step motor that you can hear easily. The Bulova Prescisionist is very quiet but sadly does not come in a woman or small man's size. I also have a watch and the brand name is Orient. They make automatic mechanical movements for women and some quartz. My automatic mechanical movement is virtually silent. Their prices are reasonable and often offered with a 30% discount. Here is the home page for Orient. Here is a collection of watches on Amazon. This will show you the price they are available. Movado also has a range of watches in several sizes that use a Swiss quartz movement that is also quiet. Of course at a higher price. I like the very classic design of the watch. It reminds me of a watch I was given in my youth. Hamilton watches are designed in the US but have Swiss movements. A very good choice. When I bought my first Swiss chronometer status watch I was surprised to find most watch brands did not make their own movements. At the time ETA made many of the mechanical movements for much of the watch market. I could design a watch and choose a Swiss movement have it produced and bring it to market. Regardless of the name on my Swiss watches they have great movements. One has the ETA 2892-2 and the other has the 2824-2. These movements can be purchased at different quality levels based on the method of shock resistance, balance wheel and decorations of movement to name a few. My next good watch will be a watch from a manufacturer who makes their movements in house. Rolex is the least expensive watch maker who makes almost the entire watch from case to movement. Rolex is a mid line manufacturer with Patek Phillippe and Audemars Piguet near the top of the Swiss manufacturers. I find myself more interested in who made the movements than in who made the case or designed the face. Here are two more watches FA that would be an oversized watch for a woman but have good visibility. The second is a small men's watch by todays standards. Thanks John. The second link looks a little bulky and masculine (as Bulovas tend to do IMO). But that first one is quite beautiful. That is interesting about the position of ETA, (I scanned the Wiki, here). I had no idea about any of this. I note that Omega is affiliated with ETA. It's interesting too that ETA was investigated by the Swiss Competition Commission for having essentially a monopoly for lower priced (<$256) "ébauches" (mechanical movements). I've always appreciated two things in a watch: (1) an elegant design, i.e. case and band, and (2) accuracy. I had a Bulova Accutron ("tuning fork") watch back in the day that was the latest thing. However I'm more that happy with a quartz movement and, actually, I love the precise, reliable time you get with the "atomic", satellite-synchronized watches. Here is a link to a story regarding ETA and what they have been trying to do. GENEVA — The Swatch Group may be best known for its playful, plastic watches. But it also produces mechanical movements and other watch components that it sells to most of its rival timepiece makers. Swatch is probably best known for its colorful, inexpensive watches, but it owns higher-end brands that compete against companies that buy its movements. Starting Jan. 1, though, the company will begin to cut back, and possibly eventually end, its sales of the inner workings to competitors to concentrate on producing watches with higher profit margins and to make sure it has enough supplies on hand for its own brands, including Longines, Omega, Tissot and Breguet. I just checked my Precisionist again with the atomic clock and it still is on the second. I have always enjoyed my mechanical watches and still do but to have a watch with such accuracy is nice. In my time with my better mechanical watches I expect them to run a few seconds fast a day when new. As they operate the hair spring may stretch and the lubrication dries and they slow down. My Hamilton has been running at an exact rate after years of running slightly fast. My other watch which uses a higher end ETA movement now runs slow. It needs to go back and be cleaned and lubed and recalibrated since it was once at chronometer standards. It was certified by the COSC for accuracy. When the Hamilton with the ETA 2824-2 movement begins to slow down it will need to be sent for cleaning and lube. Maintaining mechanical watches takes some effort. I am finding it very nice to have a watch that is always correct. Quartz watches also require less service. The sweeping second hand of the Precisionist seems less quartz like with out the jumping seconds hand. A quick glance might make someone think I am wearing a mechanical. I am enjoying my Christmas gift to myself. I was holding out on buying a new watch to see if Santa brought me one. He didn't (but he brought me lots of other cool stuff!). So I may go watch shopping if I have time tomorrow. John, what do you think of the Citizen Eco-Drive watches? I really like this one and am hoping to find it in a store to see it live. I can order it from Amazon for $200 less than MSRP. I also like this one. Complete different look. The Eco-Drive has been in use for many years so I think the technology has been perfected. I am not sure if I mentioned it in a previous post but Bulova is owned by Citizen and the Precisionist is Citizen technology. My brother wears a Citizen Eco-Drive and has not had any problems. The watch with the diamonds may be a little large for you but you will not know until you try it on yourself. I like watches in the 40mm and 42mm range for myself so 39mm seems rather large. I like the style but I also like the classic strap watch. I recently bought my Orient watch because it had the simple design that was popular when I was given my first watch. I find I enjoy some classic designs longer than modern and trendy. Of course like anything you will need to try it on first. I know you will get great service from either watch. I would also add the a bracelet will last longer than a strap. Hand washing, wearing it while cleaning and natural aging will cause the strap to need to be replaced periodically. Of course as much as I wash my hands working in healthcare a leather band does not last long. The water resistance of the ceramic watch is much greater than the strap watch and that may be important to consider. Since it's boxing week here (like your Black Friday), there are some good deals to be had, so I hit the mall yesterday to look at watches. I couldn't find the Citizen that I posted, but I did find a couple of others that I liked (Citizen and Bulova) that were in the running. I decided that I wanted a bracelet and not a strap. 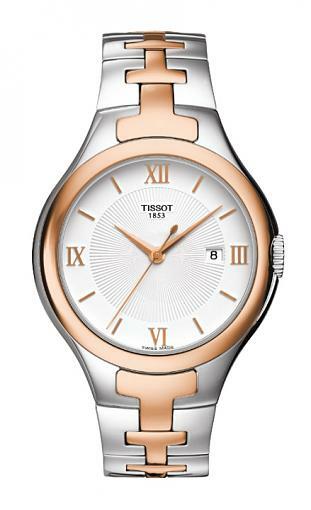 Then I met this Tissot and fell in love (or at least strong infatuation). Even with the sales price of just over 25% off, it was over my budget. But knowing that I will own this for many years to come, I decided that I could up the budget a bit. I went out shopping again today, to a different mall, to see if I could find something a bit less expensive. I thought that I had found antoher Tissot I liked for less, and decided to walk away and think about it. But when I came home and looked at yesterday's purchase again, I decided it's a keeper. I just have to reconcile the cost in my head. Tissot is a very good watch. Swiss made with a 7 or 8 jewel Swiss Quartz movement. They are part of the Swatch Group that has Omega, Hamilton and others along with ETA which manufactures their movements. Well done, brava. Now I would like to see your watch. The link opened to the Tissot mobile site and showed multiple watches. I bought Hubby a Tissot for his 50th B-day and he's been very happy with it. So I thought that I'd try my own. Here's a photo, since the link isn't working for you. If you want to look up the specs, the model is a T12. Thanks. I actually own a few decent watches (a Bulova, a Skagen, and a Swiss Army that needs a new crystal), but this is, by far, the best of the bunch. I was just going through the links on this site again, and I realized that the Bulova you posted for me to look at is a watch that I tried on today and seriously considered! LOL! Last edited by ForeverAutumn; 12-28-2013 at 01:57 PM.